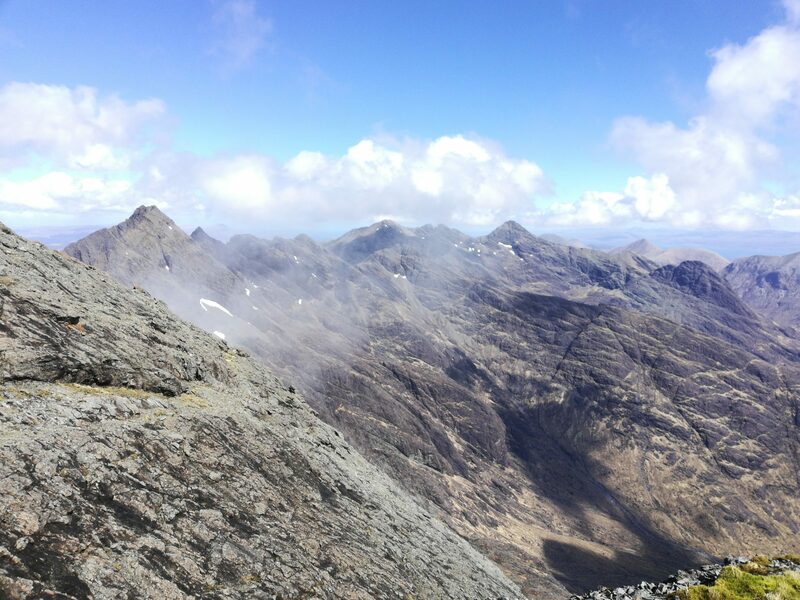 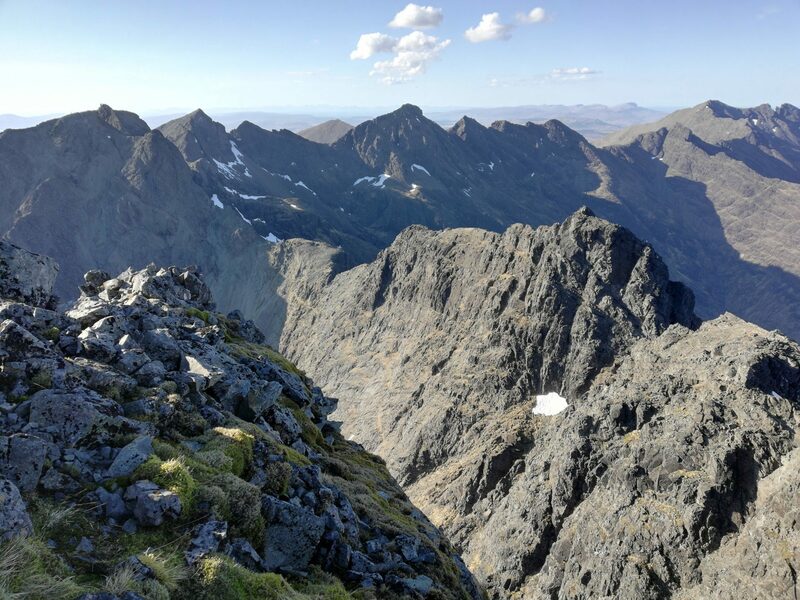 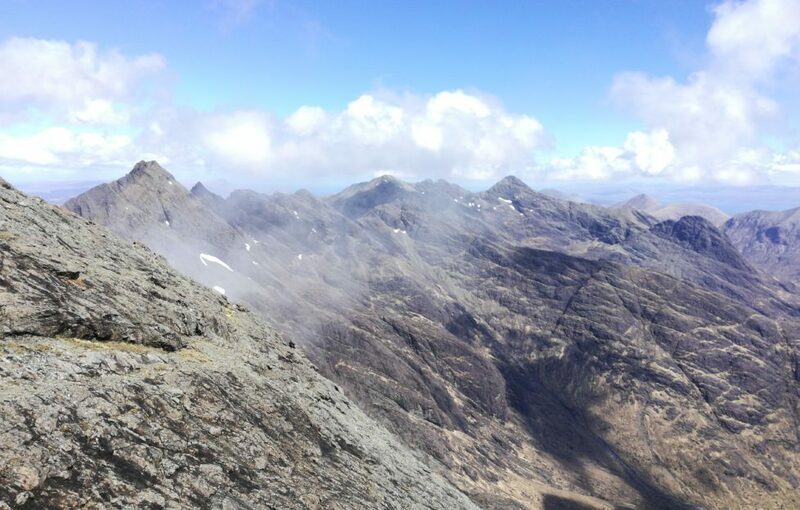 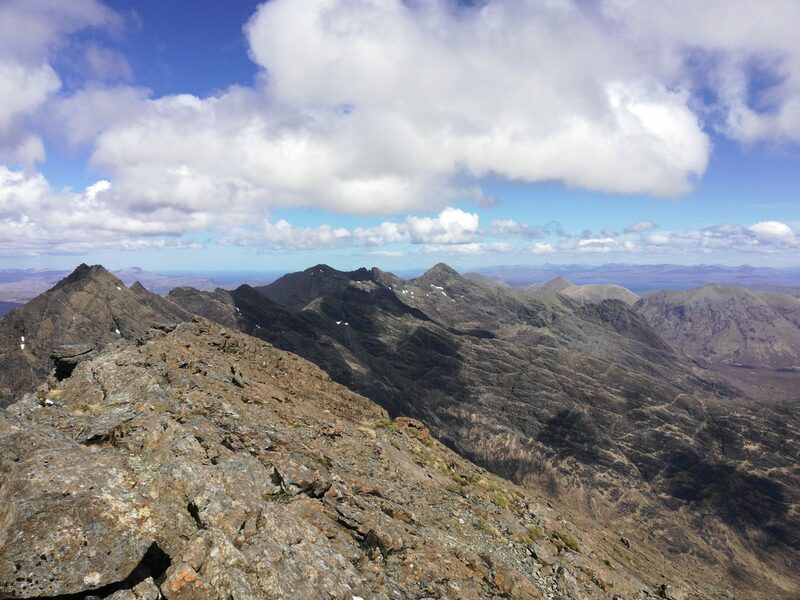 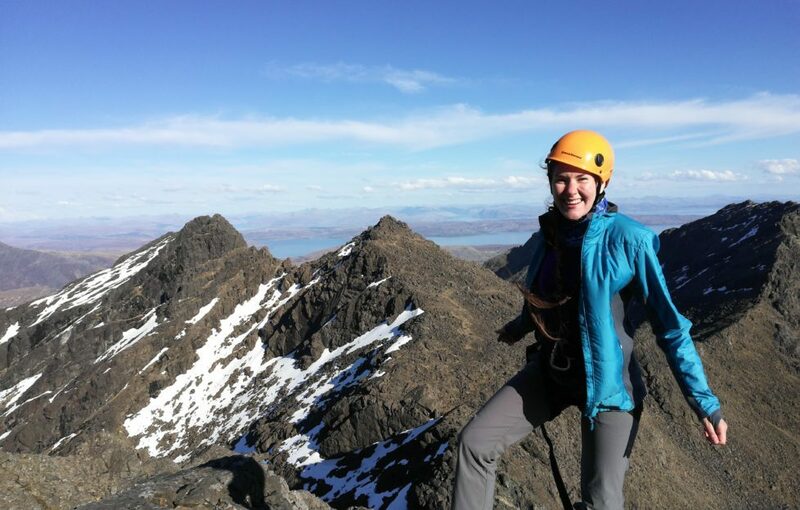 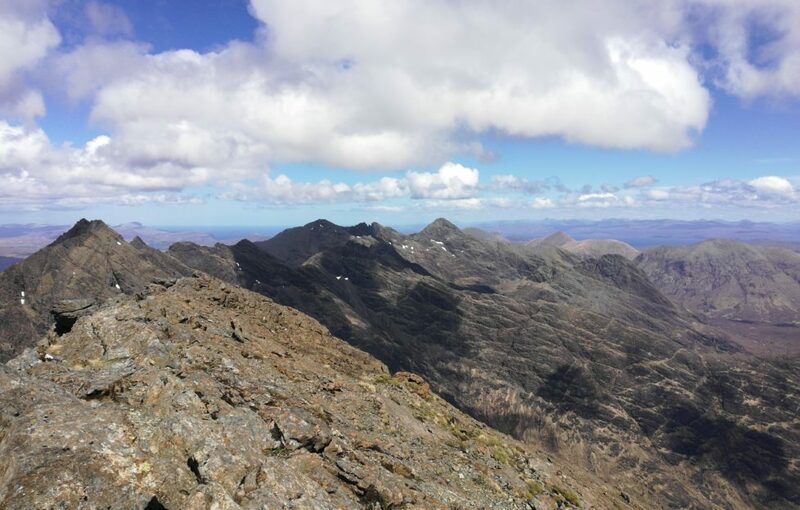 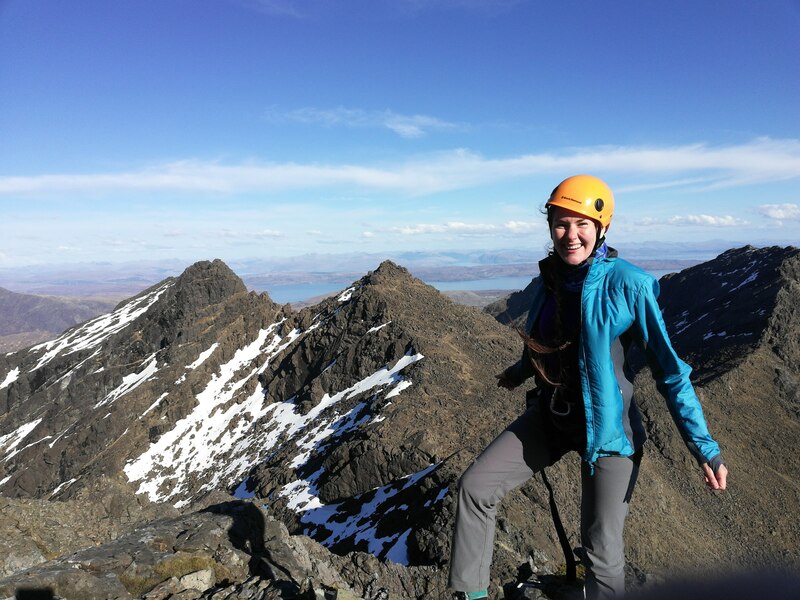 On a beautiful day in May I ventured up the Cuillin ridge. 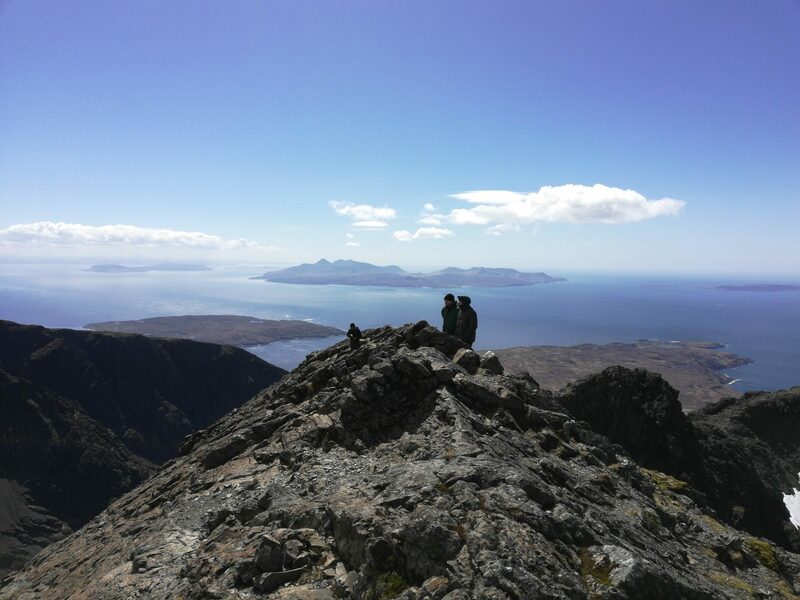 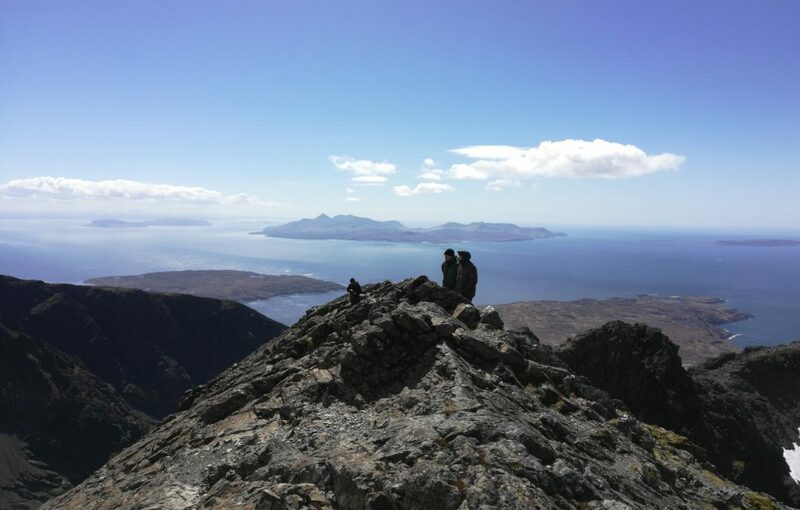 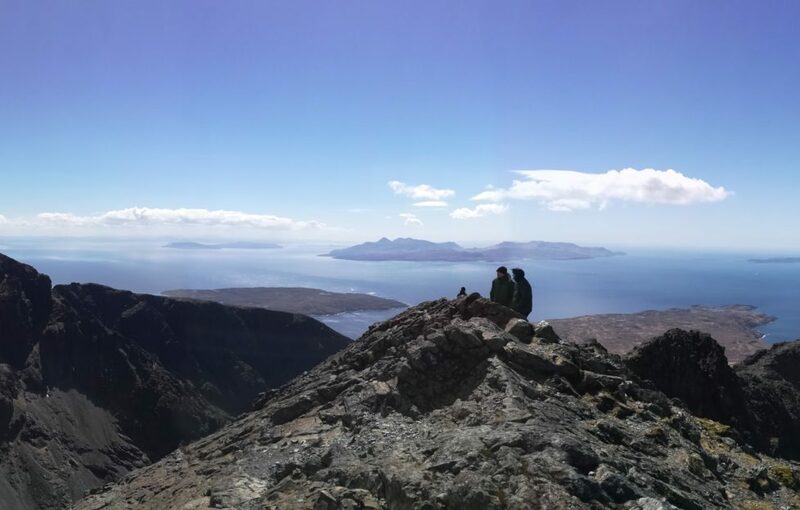 It was my first time hiking on Skye, and I’ll never forget it. 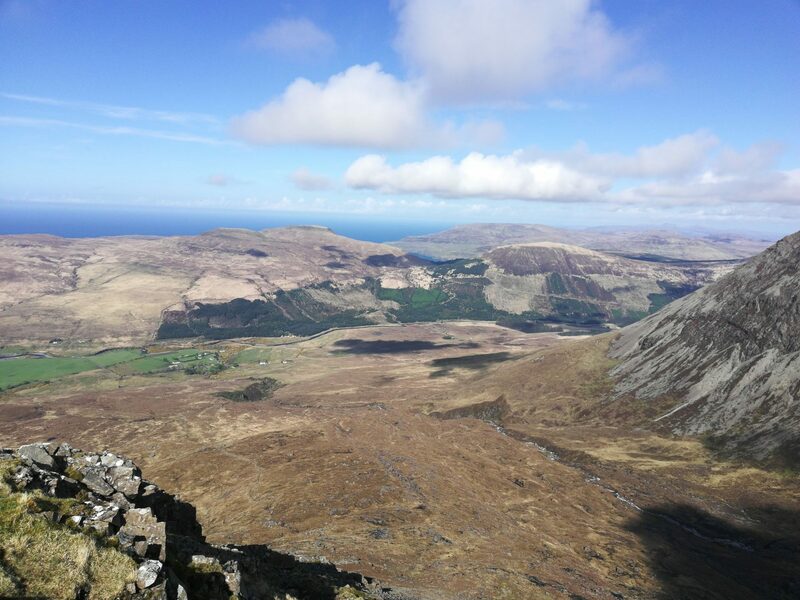 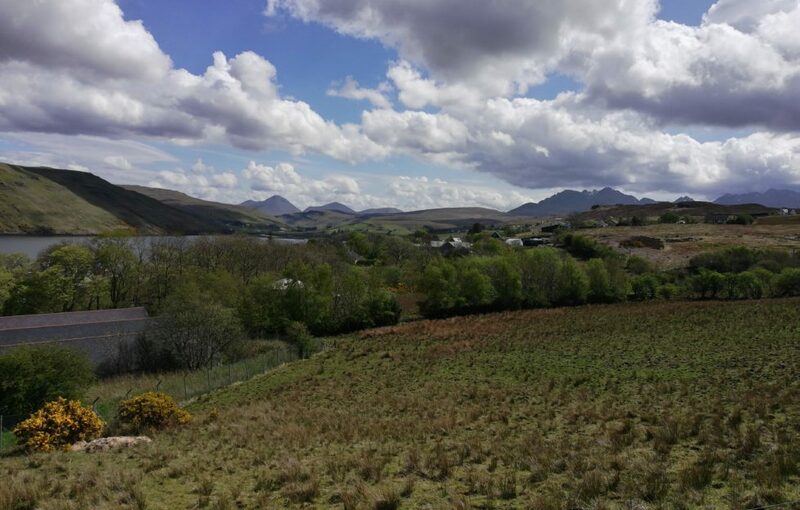 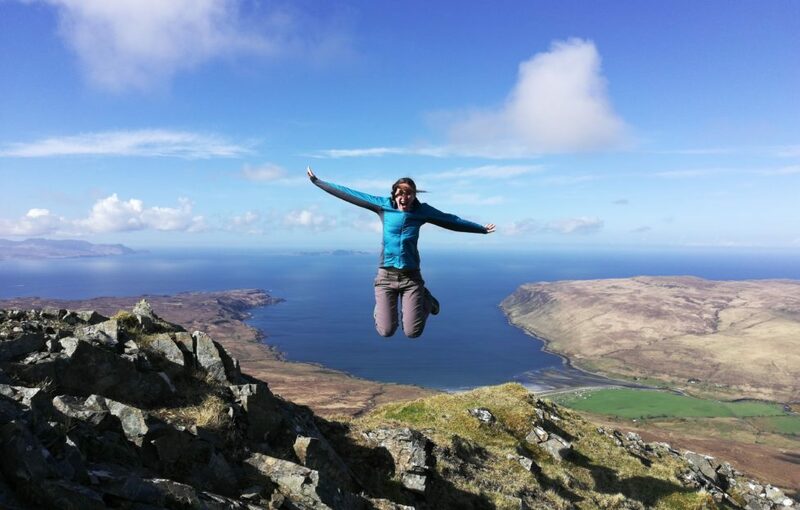 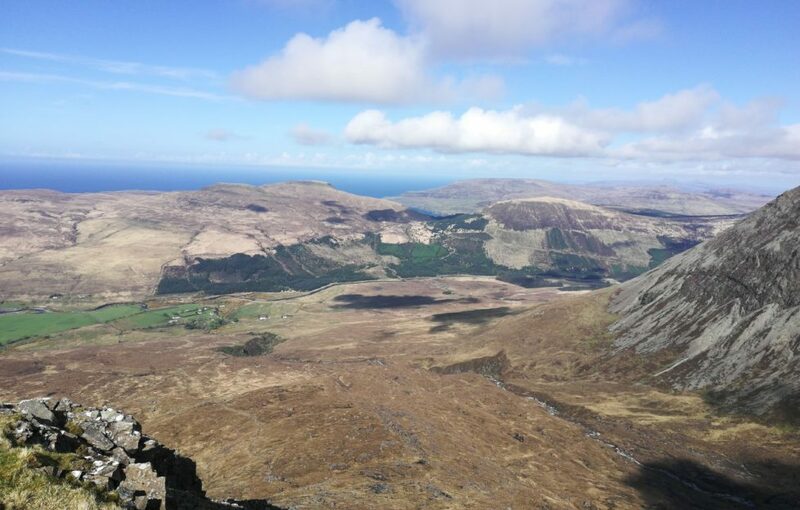 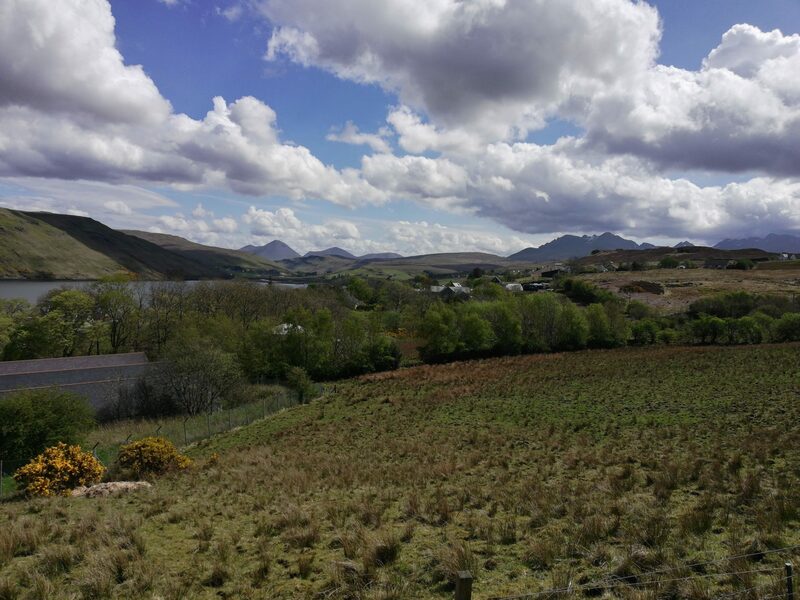 I say hiking, but you don’t really “hike” on Skye, do you? 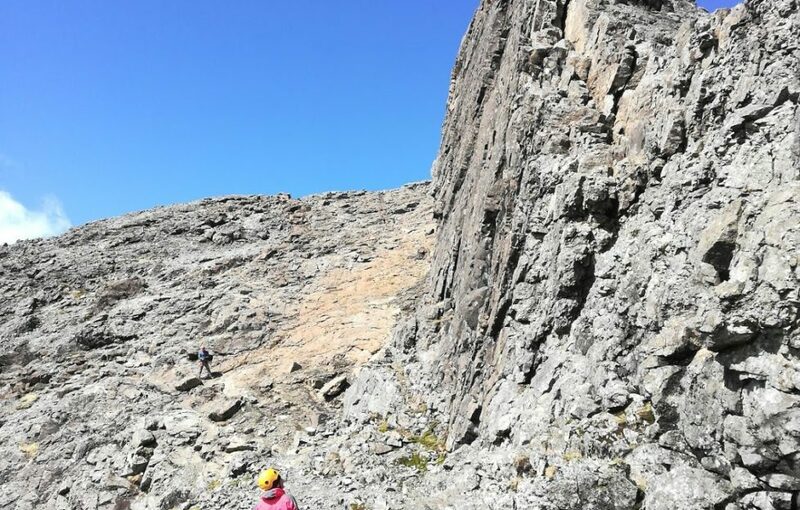 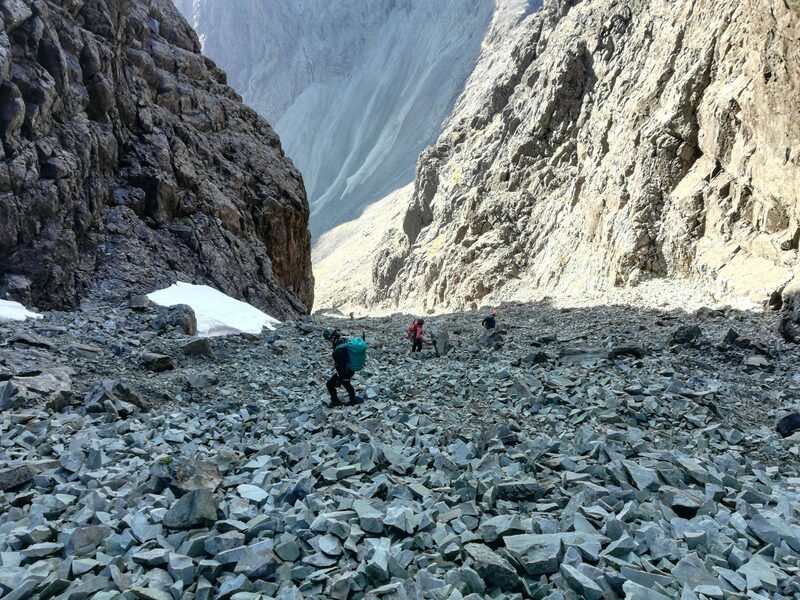 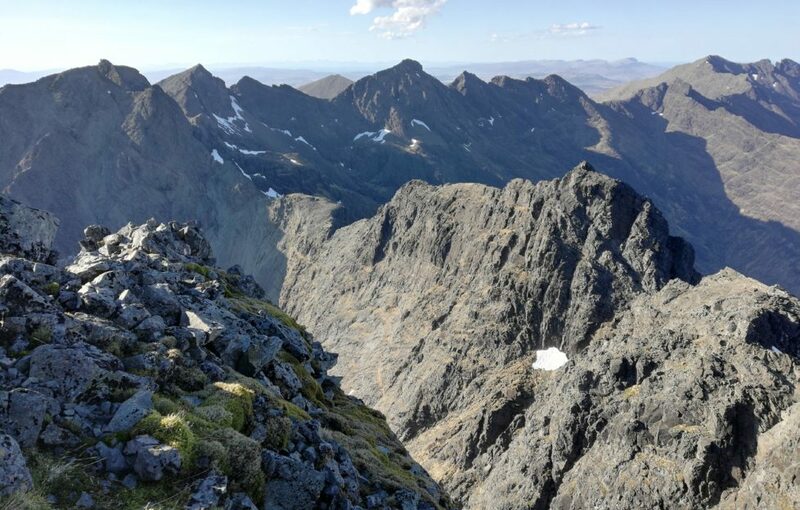 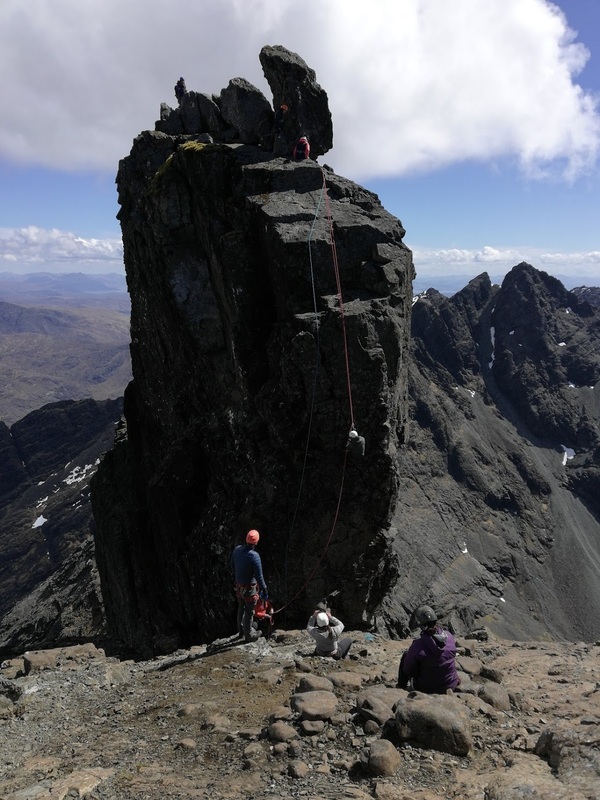 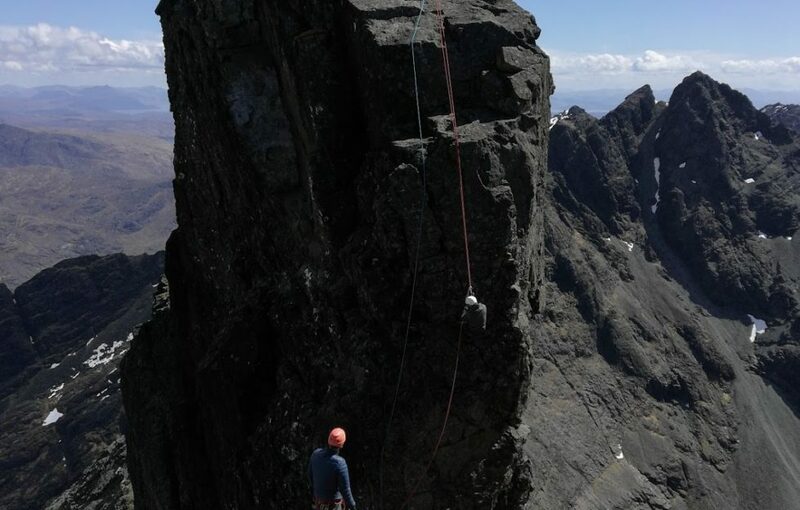 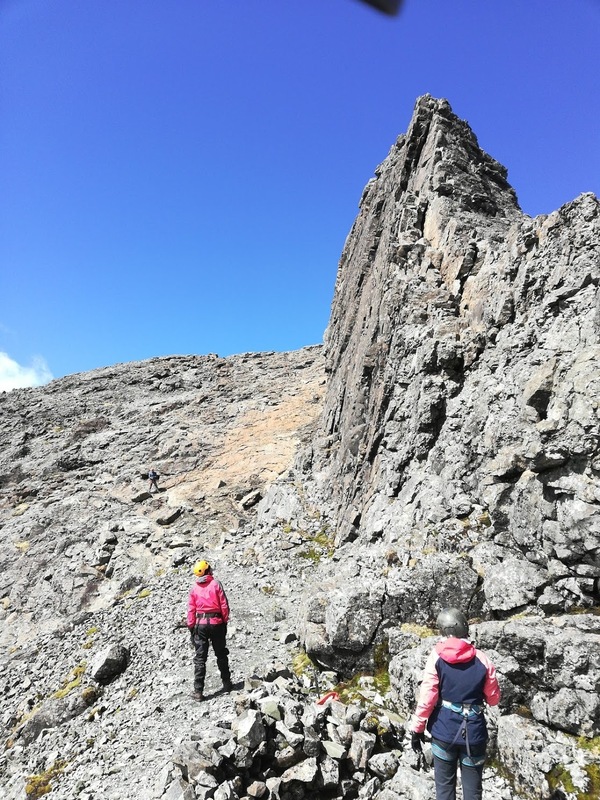 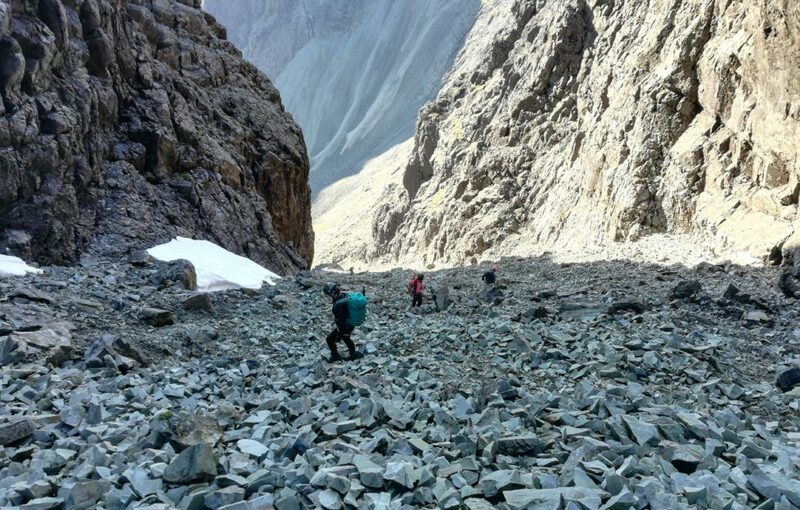 The gabbro rock that forms the Cuillin is rough and gnarly, forming a pinnacled paradise for scramblers and climbers. 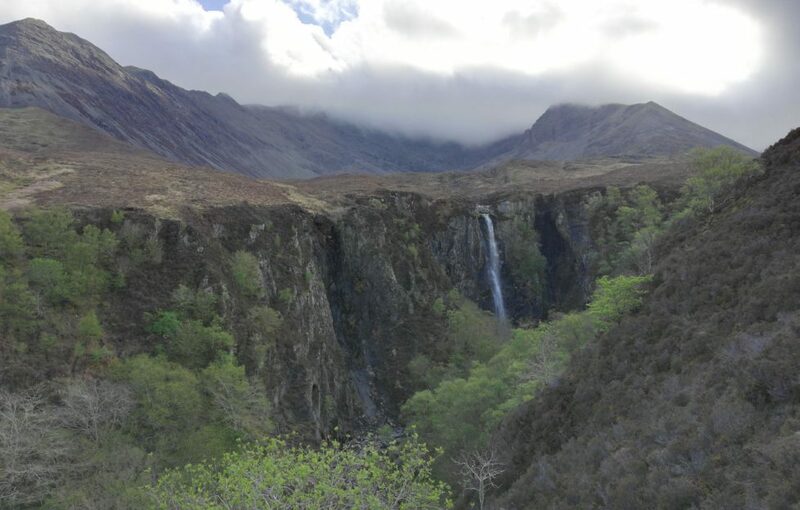 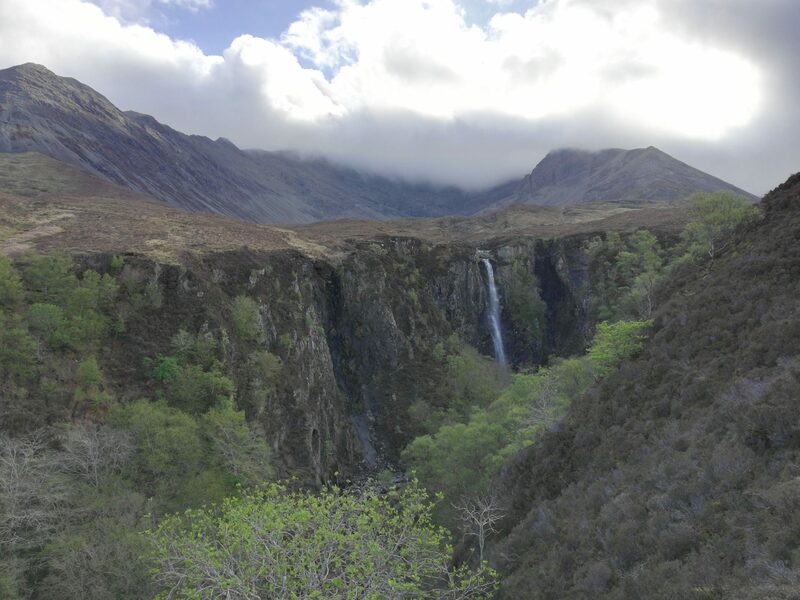 We ascended the ridge from the public car park near Glen Brittle campsite, walking past Eas Mor waterfall. 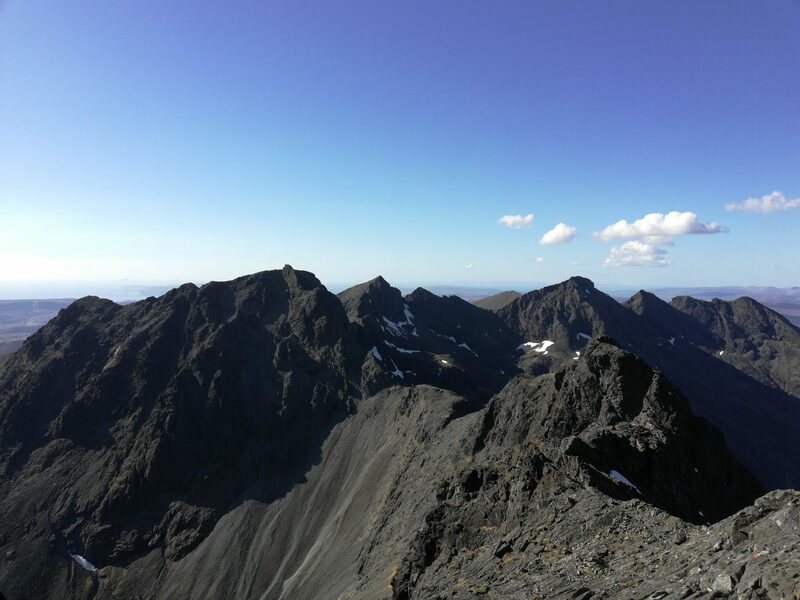 Here’s a wee gallery of snaps from the day, featuring Glen Brittle, Sgurr Dearg, Sgurr Mhic Coinnich, Sgurr Alasdair and back again. 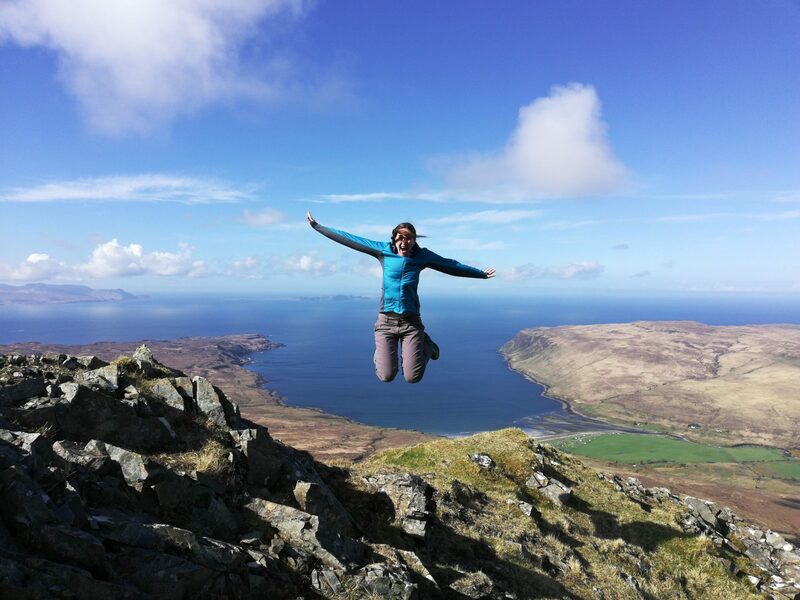 A valiant attempt to jump Canna! 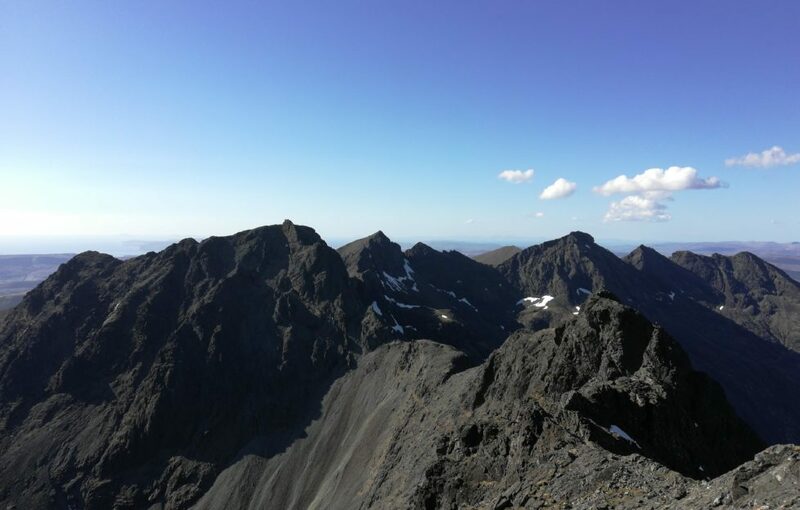 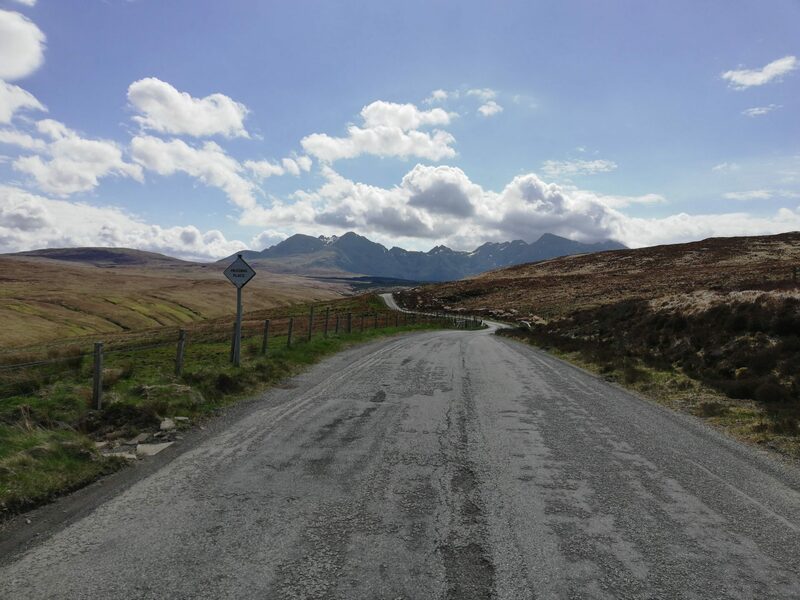 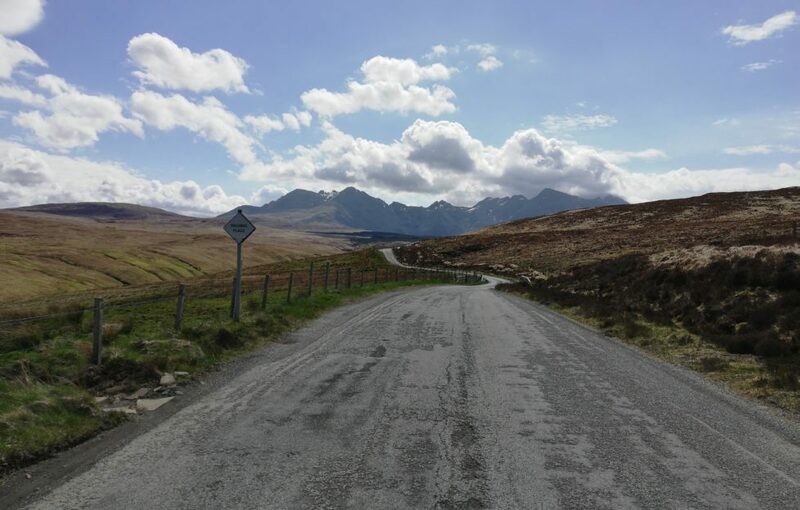 The Cuillin is mostly made up of gabbro – a rough igneous rock that’s great for climbing, but fair scours of your fingerprints! 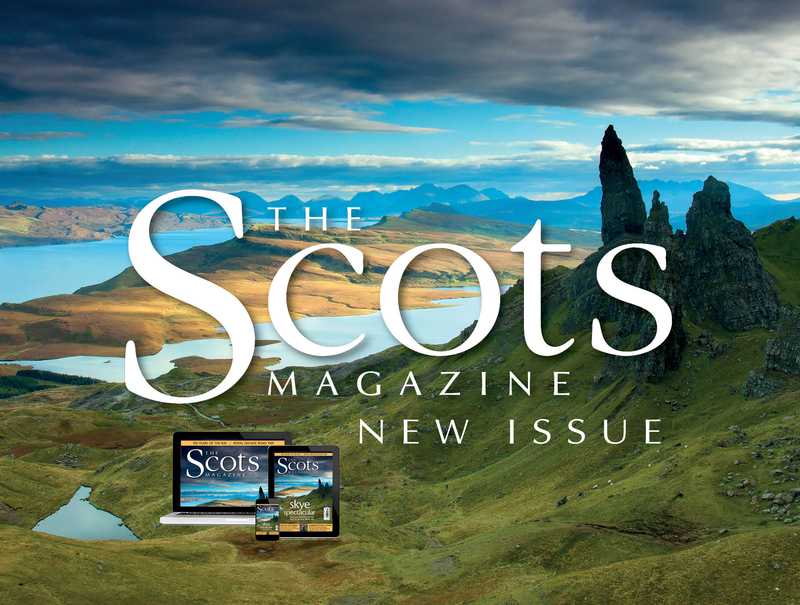 The Scots Magazine June issue is a Skye Spectacular! 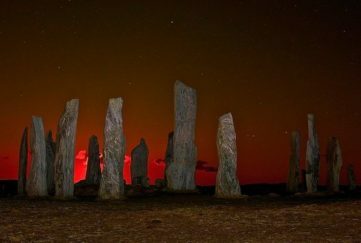 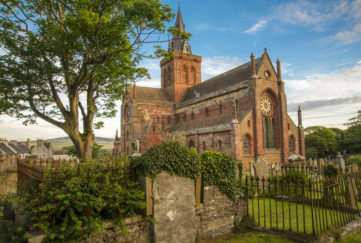 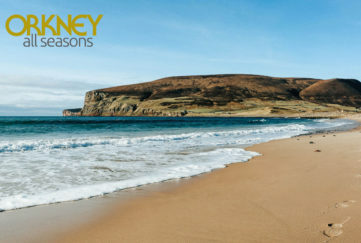 Don’t miss out – discover 9 pages of the best to see and do on the misty isle. 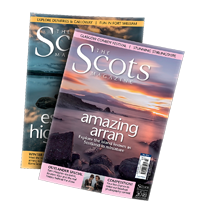 Click here to find out more, and find your nearest stockist.